With the changes in 7.2 it is high time I take another look at cooking. I have been very on/off on cooking, but it has been a very good profession throughout Legion for me. The only real downside is the required inventory space and the amount of different materials you need to buy to keep stocked. Patch 7.2 buffed the feasts so that they are now the best food for raiding for pretty much all classes. Surprisingly to me this has not changed the market for the old +375 secondary stat foods as they still sell really well. They are used in feasts, but in lower amounts than if people used the +375 foods directly. You still unlock recipes by having Nomi burn Ingredients. With the addition of the prepared ingredients it feels like the rate is higher than it used to be. I stopped running work orders on Nomi a long time ago as I had all the good +375 rank 3s, but I am now back to running them fulltime to get the feast recipes. I suggest getting an addon to help show you which recipes you can get from which work order as this will save you a lot of effort. I prefer BadNomi, you can find it on Curse or similar sites. 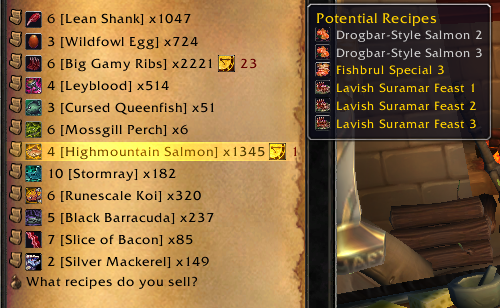 As we can see in the Screenshot I can get 3 recipes from the Highmountain Salmon Work Order. Cooking uses a lot of different materials. Most of them are pure food materials that are either from fishing or from killing various animals. You also need some vendor materials that are sold In Dalaran by the cooking Vendor next to Nomi. In addition to this some of the recipes require other Legion materials. Azshari Salad requires herbs (Dreamleaf, Aethril, Fjarnskaggle and Foxflower), Nightborne Delicacy Platters require Starlight Rose and Gem Chips etc. In general you will need to buy a large number of ingredients. For maximum profitability you want to craft the +300 stat foods that are a reagent in the +375 foods yourself as well. I can’t list all the recipes and all the required materials here, but I have shopping operations and material groups that will cover everything you need in total. The subgroup called Food in my Legion materials group contains all the fish and meat reagents and you can then do a search of the herbs groups to get the rest of the required items. I suggest buying large amount of materials at the time to keep a stockpile. This makes it much easier to just buy some more of whatever you’re running low on. To craft the feasts you need Slices of Bacon. You can only acquire these from the related word quests, or buy them from the Auction House. In general they are in high demand due to the power of the feasts and they can be a large bottleneck. I suspect that sourcing bacon is one of the most important aspects of profitting off of feasts. The two main items to sell from cooking are the Lavish Suramar feasts and the five foods that are reagents for the feast (Nightborne Delicacy Platter, Azshari Salad, Fishbrul Special, Seed-Battered Fish Plate and The Hungry Magister). I don’t have the feast recipe yet, so I can’t comment on stack sizing, but I suspect both 5, 10 and 20 can work. I strongly suggest using 20 as the stack size for the other foods as I find that they sell really well in those sizes And it also minimizes posting time and mail collection. To craft the +375 ones I strongly suggest making the required low level foods yourself to shave off costs. It is generally much more profitable to craft them yourselves. To figure out what foods are profitable you can use my spreadsheet as it includes all the cooking recipes in Legion. 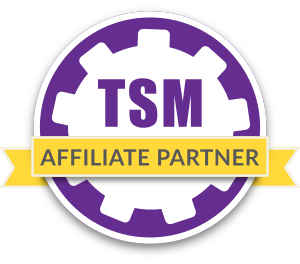 My TSM setup can be found in my Pastebin. My groups include all the +375 foods, all the +300 foods and both feasts all in separate groups. I use the same auctioning operations for each, but I have added a second operation for the feasts to sell in smaller stack sizes as well. My pricing setup should be dynamic enough that it will work for all items, but you should experiment with Stack Sizing. Make sure you post food on raid reset day as it is primarily used by raiders. This means that demand is substantially higher on Tuesdays/Wednesdays. The reagent for the lavish feasts are the 300+ stat foods though. As for stack sizes, selling the Lavish Feasts in stacks of 20 have been majorly profitable for me. While the a sizable amount of them are usually around 1300g~ (with rank 3, crafting cost is 950g on my server), they are often in singular, fives, or tens stacks. Even still the 20 stacks sell relatively quickly at 1500g+. 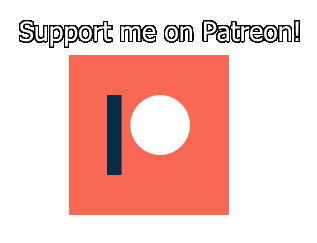 So much so that they have become my biggest source of income. Embarassing to miss that. I’ll get on an update right away. Great insights on the feasts as well as I don’t have the recipes I dont really know what the best stack sizes are. Was wondering about Nomi’s cooking research. Do the higher priced ingredients increase the chance at learning the feasts or am I fine with using the cheapest ingredients I can find (currently relying on lean shanks)? Also, is the drop rate still worth it to continue using eggs (less than 20s each) for research after learning all of the patterns? The price of the ingredients have no impact on the chances of getting a recipe. You should be completely fine with the shanks. I doubt that its worth it to continue doing the work orders after you have all the recipes, but I havent done the math. Thanks. Was always a little worried about that, but it wasn’t a concern until recently for me.